Provides an interface to the GNU readline library for interacting with the user at a command prompt. Because readline interacts with the console content, printing debug messages makes it difficult to see what it happening in the sample code versus what readline is doing for free. The examples below use the logging module to write debug information to a separate file. The log output is shown with each example. There are two ways to configure the underlying readline library, using a configuration file or the parse_and_bind() function. Configuration options include the keybinding to invoke completion, editing modes (vi or emacs), and many other values. Refer to the GNU readline library documentation for details. The easiest way to enable tab-completion is through a call to parse_and_bind(). Other options can be set at the same time. This example changes the editing controls to use “vi” mode instead of the default of “emacs”. To edit the current input line, press ESC then use normal vi navigation keys such as j, k, l, and h.
As an example of how to build command line completion, we can look at a program that has a built-in set of possible commands and uses tab-completion when the user is entering instructions. # This is the first time for this text, so build a match list. # if we have that many. The input_loop() function simply reads one line after another until the input value is "stop". A more sophisticated program could actually parse the input line and run the command. The SimpleCompleter class keeps a list of “options” that are candidates for auto-completion. The complete() method for an instance is designed to be registered with readline as the source of completions. The arguments are a “text” string to complete and a “state” value, indicating how many times the function has been called with the same text. The function is called repeatedly with the state incremented each time. It should return a string if there is a candidate for that state value or None if there are no more candidates. The implementation of complete() here looks for a set of matches when state is 0, and then returns all of the candidate matches one at a time on subsequent calls. If you press TAB twice, a list of options are printed. The log file shows that complete() was called with two separate sequences of state values. The first sequence is from the first TAB key-press. The completion algorithm asks for all candidates but does not expand the empty input line. Then on the second TAB, the list of candidates is recalculated so it can be printed for the user. Pressing RETURN now causes raw_input() to return the value, and the while loop cycles. There are two possible completions for a command beginning with “s”. Typing “s”, then pressing TAB finds that “start” and “stop” are candidates, but only partially completes the text on the screen by adding a “t”. If your completer function raises an exception, it is ignored silently and readline assumes there are no matching completions. The completion algorithm above is simplistic because it only looks the text argument passed to the function, but does not use any more of readline’s internal state. It is also possible to use readline functions to manipulate the text of the input buffer. In this example, commands with sub-options are are being completed. The complete() method needs to look at the position of the completion within the input buffer to determine whether it is part of the first word or a later word. If the target is the first word, the keys of the options dictionary are used as candidates. If it is not the first word, then the first word is used to find candidates from the options dictionary. readline tracks the input history automatically. There are two different sets of functions for working with the history. The history for the current session can be accessed with get_current_history_length() and get_history_item(). That same history can be saved to a file to be reloaded later using write_history_file() and read_history_file(). By default the entire history is saved but the maximum length of the file can be set with set_history_length(). A length of -1 means no limit. The HistoryCompleter remembers everything you type and uses those values when completing subsequent inputs. The log shows this output when the “b” is followed by two TABs. When the script is run the second time, all of the history is read from the file. There are functions for removing individual history items and clearing the entire history, as well. There are several hooks available for triggering actions as part of the interaction sequence. The startup hook is invoked immediately before printing the prompt, and the pre-input hook is run after the prompt, but before reading text from the user. Either hook is a potentially good place to use insert_text() to modify the input buffer. If the buffer is modified inside the pre-input hook, you need to call redisplay() to update the screen. Documentation for the GNU readline library. The initialization and configuration file format. Effbot’s guide to the readline module. 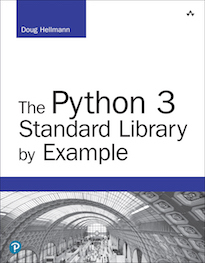 pyreadline, developed as a Python-based replacement for readline to be used in iPython. The cmd module uses readline extensively to implement tab-completion in the command interface. Some of the examples here were adapted from the code in cmd. 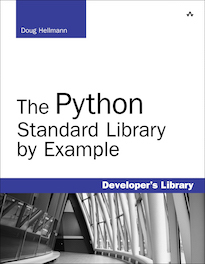 rlcompleter uses readline to add tab-completion to the interactive Python interpreter.